If you or your family has made a commitment to eat better and healthier, then congratulations – you’ve taken the first step towards creating a new, happier you. The journey won’t be easy, but you’re not alone: There are plenty of great free apps that can help you whip your diet into shape and cut out foods you may not even realize are dangerously unhealthy. Here are our favorites for making sure we eat healthy. One of the best ways to lose weight and feel healthier in general is to commit to making healthier food choices. 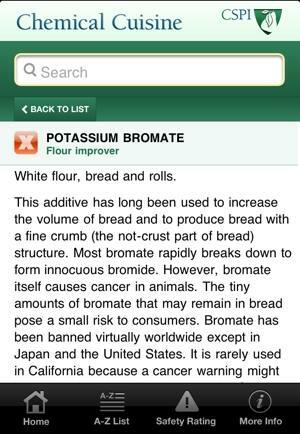 Swap out that white bread for slower digesting wheat. Trade that soda at snacktime for a lower-calorie sports drink. Each small change adds up in a big way over the long term. Finding these kinds of healthy alternatives isn’t always easy. That’s why Paul Gifford, Elliott Grant, and Scott Golubock created ShopWell, an app that makes it easy to compare similar foods and make the best choices possible. Before you can start using it, you’ll be asked to provide a login and answer a series of questions about your personal eating preferences. ShopWell learns from each answer to create a personalized “best foods” list. Each time you use Shopwell to take a picture of a barcode in the supermarket, the app will score the product from 0 to 100 according to your dietary preferences. 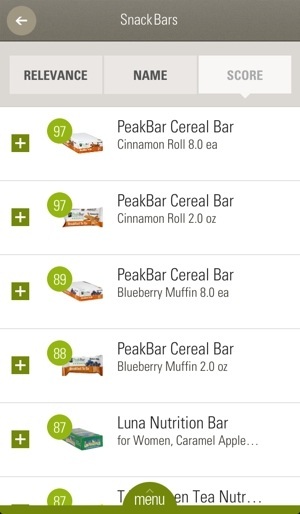 Healthier alternatives will be automatically suggested, along with user-supplied ratings to make sure eating healthy tastes good. And once you make your selection, you can add your choice to an in-app shopping list so you don’t leave the store without it. ShopWell is a powerful, fully featured app that makes grocery shopping just a little bit better informed. Because when it comes to healthy eating, knowledge is power – and slimming. I try to eat as healthy as I can, but when you’re on the go as much as I am, it can be tricky. That’s why, personally, I fell in love with the app HealthyOut. It helps me discover new restaurants in my neighborhood that cater to my specific high protein dietary needs. Of course, HealthyOut does more than just show you a list of high-protein dishes. You can toggle any number of settings to choose your dietary restrictions and preferences to make sure no ugly surprises are hiding in your dinner. And if you’re trying out a popular diet such as Atkins or Paleo, the app will help point you in the right direction there, as well. It can even track Weight Watchers’ points. 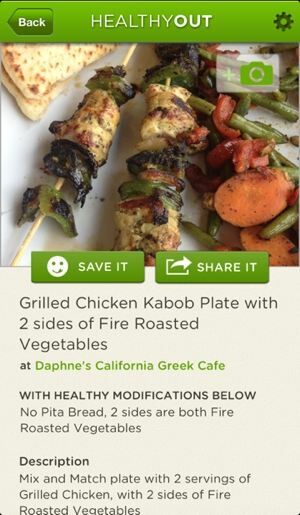 HealthyOut lists entrees, not just restaurants. When possible, you can see a photo of each dish, a list of modifications you can make to make it even healthier, and complete nutrition information where available. Since you choose what kind of food you want to eat and what you don’t, the app will only return choices that fit your particular tastes and lifestyle. Price: Free on iTunes and the Google Play Store. HealthyOut offers an optional meal planning and delivery service in New York City for $28 per month plus the cost of food. Picture the first bowl of ice cream of the summer. A rich, frosty mix of cream, sugar, vanilla, and maybe just a touch of … sodium carboxymethyl-cellulose? Now that Americans are eating more pre-packaged food than ever before, smart shoppers have to deal with a confusing mix of weird-sounding preservatives, coloring agents, and artificial sweeteners that are unnatural at best, and cancerous at worse. Thankfully, Chemical Cuisine, created by The Center for Science in the Public Interest, has compiled an A-to-Z list of 130 of the most common food additives in the country. It can tell you, for example, why Polysorbate 60 might be in your first cup of coffee, and whether or not you should worry that it’s there. The database feels a bit incomplete for now, so you’re bound to find one or two additives that just don’t make the list. But the app does automatically check for updates, so if a dangerous new chemical shows up on store shelves, you’ll be the first to know. You probably don’t need me to tell you about the benefits of fish: The meat is high in protein, and contains plenty of heart-healthy omega-3 fatty acids. Unfortunately, though, many fish also contain high levels of contaminants like mercury and PCBs. And many species are at risk for extinction due to overfishing. Seafood Watch, an app from the Monterey Bay Aquarium, helps you make the best choices possible when it comes to buying or ordering fish. The app allows you to search by individual fish species to find the safest, most environmentally responsible catch possible. 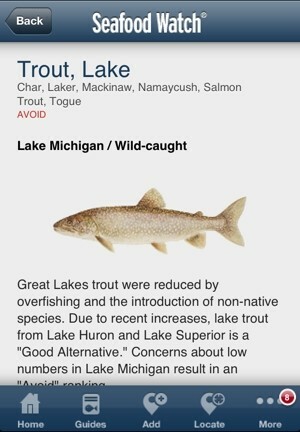 Avoid the Michigan Lake Trout, for example – it’s been overfished. The app recommends farmed Rainbow Trout as an alternative, as “it’s farmed in an ecologically responsible way.” And if you don’t know where to find Rainbow Trout, the app can direct you to a nearby store. If you love fish, this free app is worth a quick download – no pescatarian should be without it. The only downside: Its graphics are not optimized for high-resolution displays like on the iPhone 5. There's no reason to stop with this list of apps. Check out Techlicious's list of the best food apps to whip up a healthy meal. You don’t need technology to tell you what is healthy and what is not. Is it packaged? If the answer is yes, it’s NOT healthy. Is it whole food? If the answer is yes, it’s healthy! As Sylvia Earl stated, it’s easy to tell the difference between a packaged food item and whole foods, but that’s not always a choice. I installed the CSPI app because my son is sensitive to food chemicals (those words shouldn’t even be joined together, but that’s the world we’re in) and it’s hard even for me to find acceptable snacks that I don’t have to make from scratch. This will help, but it’ll also be good to suggest for those family members that just don’t want to take the time to learn what I have. When you reach the store and ask yourself should I by organic or not. Pull out FoodSmart smart and check the list of recommended products to buy organic and the one that you can skip organic. Get information about the ingredients on the label in addition to health ranking.